NBC 6 Reporter Erika Glover spoke with Sheriff Scott Israel about the recent outcry from lawmakers and residents to get him to resign. Broward County Sheriff Scott Israel announced that he will fully cooperate with an investigation by the Florida Department of Law Enforcement into how his deputies responded to the Parkland school shooting that left 17 people dead. 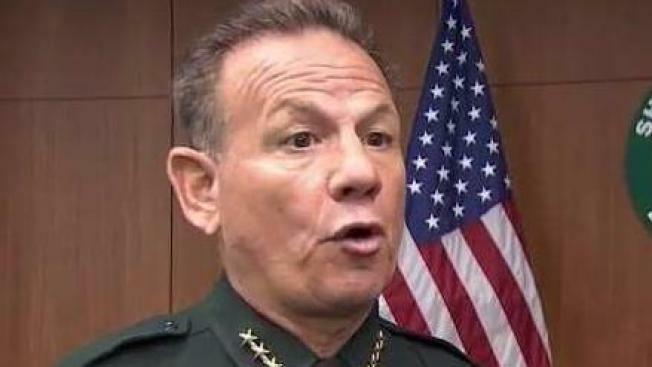 In an exclusive interview with NBC 6, Israel also said he will not step down as sheriff, despite a call by 73 Republican Florida lawmakers demanding that he be removed from office. The lawmakers made their demand in a letter to Gov. Rick Scott. In the interview, Israel chose not to focus on reports claiming that three other Broward County Sheriff’s deputies, in addition to the school’s resource officer, did not go inside Marjory Stoneman Douglas High School when shots rang out. “We are preparing to take statements from Coral Springs police officers, who allegedly are going to make statements about our deputies or some deputies, two or three deputies not doing what they’re supposed to do. It will be investigated feverishly and thoroughly,” said Israel. On Sunday, Florida House Speaker Richard Corcoran shared a letter with 73 house Republican signatures, calling for Gov. Rick Scott to remove Israel from office. The sheriff said he’s received thousands of supportive messages from the men and women who elected him. But there’s a growing number of people arguing that it’s inexcusable that Israel’s department missed warning signs about the teenage shooter. Twenty-three calls were made to BSO about the gunman. Two other officers, who previously responded to one of the calls related to Nikolas Cruz, have been placed on restrictive duty while the investigation is underway. “I’m the sheriff. My name’s on the door. The people responsible are the ones who took the calls and didn’t follow up on it. As it was with the FBI, as it was with any person,” said Israel. Israel said that BSO will fully cooperate with the FDLE, as they believe in full transparency and accountability. “This independent, outside review will ensure public confidence in the findings,” said Israel.